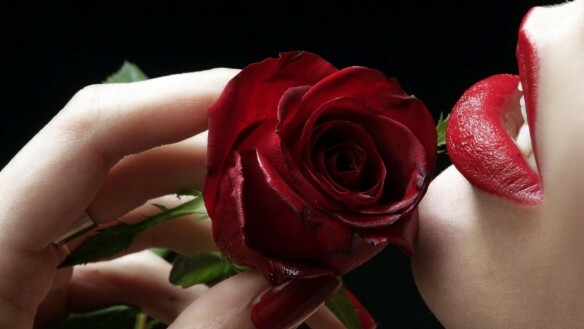 The rose is the best-known symbol out of all the perfume archetypes, but it has a much wider range of meanings than the commercial, Hallmark or Valentine’s Day association of love. AbdesSalaam explained that it is the very archetype of flowers themselves, as well as of women and beauty. It represents sweetness, tenderness, and femininity. When flowers are worn by a man, AbdesSalaam said that, on the surface, they seem to be taking on a sensibility attributed to women. In reality, however, wearing flowers turns the warrior male into a chivalrous figure, a poet-warrior who bears a delicacy of feeling towards others and who takes on a nobility of character. 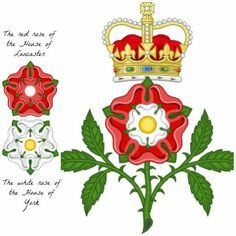 The Red Rose of Lancaster, the White Rose of York, and their joining in the Tudor Rose. Image source: Pinterest. Medieval literature and art would seem to bear out his point, as knights bearing flowers are often symbols of great positivity like courtly love or altruistic nobility. 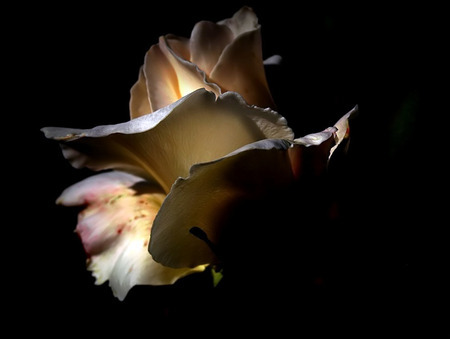 In those times, flowers actually symbolized multiple sorts of love, including a love of God which is why saints were alleged to exude the scent of roses from their bodies. Yet, I find it somewhat ironic that the symbol of women became the ultimate symbol of male power — a symbol of the king and his right to rule — in the case of The War of the Roses. Then again, if roses are a symbol of nobility, I suppose there is no higher level than royalty. If roses were the archetype of women, woods represented men. The “stout oak” is one metaphor that I recall from my own readings of literature. In modern perfumery, PR marketing has rendered this split rather concrete, with “florals” being associated with women’s fragrances, while “woody” compositions are directed towards men. One of my classmates who didn’t have an extensive background in perfume or perfume-wearing had a bit of an epiphany at this point. A successful businesswoman, she realised that she’d always worn woody fragrances, even though she actually didn’t like the scent profile. She had done it because she’d sought to present herself as masculine and tough in her masculine-dominated workplace, subconsciously avoiding the florals that might indirectly present her as fragile, soft, or weak. She had squashed down her feminine side to such a point that she noted she now actually recoiled from many of the “feminine” essential oils in the class, finding them too oppressive in their heavy lushness and ripe softness. Personally, I think niche perfumery has moved beyond rigidly defined gender roles, or at least it tries to, but there is no denying that certain objects or materials come with centuries of cultural associations and symbolism behind them, thereby sending subconscious messages. Take, for example, forests. AbdesSalaam explained that they symbolized ancient, primordial shelter and security, because Man originally sought their protection from the elements or from threats. Pine became the archetype of trees because of its resilience and its ability to withstand extreme temperatures. While tree leaves are seen as fresh, AbdesSalaam noted that the actual wood itself (like from of a tree trunk) is considered to be a tenacious and “stable” note in a perfume composition, perhaps because of the lingering, subconscious mental associations. If trees and forests represent Earth, spices are the symbol of the Sun, as well as of heat and energy. 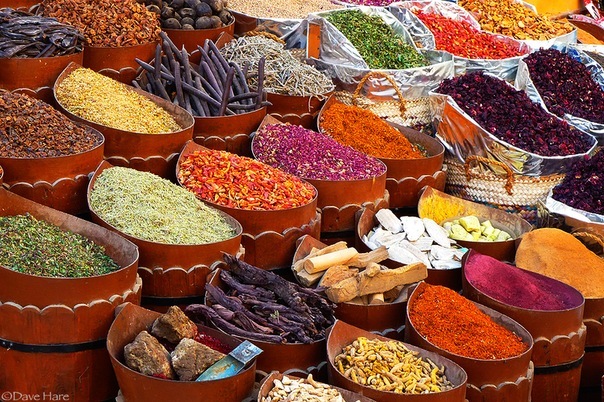 AbdesSalaam said our bodies are physically warmed by the heat of spices which typically come from exotic countries where they’ve absorbed a lot of the sun. In that way, they also represent exoticism and adventure. The ultimate archetype of spices is cinnamon because it was the one most commonly used across the greatest number of cuisines. Since it was also frequently used in making sweets or desserts, it took on happy, positive, and reassuring connotations as well. There were other archetypes that AbdesSalaam referenced as well. 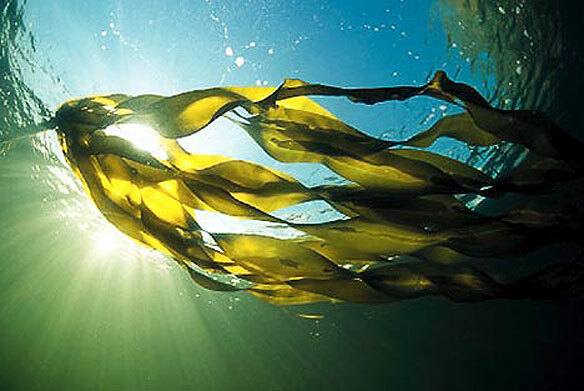 Seaweed is the ultimate embodiment of the sea, while he believes fruits are the archetype of children and childhood since that is one of the first things they explore as food. Fire is another symbol in olfactory language, because it is something that has accompanied Man from the start of time, bearing great significance as the scent of danger or being associated with cooking food. In perfumery, Birch Tar represents fire (and campfires) through its aroma of tarry singed woods, smoke, ashes, and even smoked meats. Animals, however, are usually not a fragrance archetype. AbdesSalaam noted that you may like the scent of horses or even cow dung, but it’s not something that you typically associate with perfume. Yet, for him, as he explained in his Basenotes piece that I talked about in Part I, animalic scents bring a necessary tri-dimensionality to scents. He feels that we are instinctively drawn to animalic elements in our lives, be it through pets or through olfactory notes that we are genetically pre-programmed to respond to, often on an unconscious level. For AbdesSalaam, animal scents “bridge the sacred and the profane,” the spiritual and the earthly, connecting the two worlds and completing us. These archetypes are part of an ancient olfactory language whose use in perfumery permits you to tell stories. If you know the symbols, you know what stories to tell to your audience and how to appeal to them on a subconscious level. AbdesSalaam notes that what a person smells can be driven not only by their expectations and their mental associations, but also by market-driven manipulation and preconceptions. This is true for the modern world, especially when olfactory marketing is involved, but it wasn’t the case in nature. AbdesSalaam believes that, in nature, you cannot smell existing odors after a very short period of time. In essence, they become an olfactory form of white background noise. He feels that smelling something for hours and hours is simply unnatural in terms of our innate biology and olfactory capabilities. Our brains order us not to notice background scents after a while so that, when something new pops up — like the smell of fire, warning of incoming danger — we will be fully primed to detect it and to react accordingly. However, things are different in the modern world. “Fixatives” (like white musk or ISO E Super) are used to enable a fragrance to last for hours, while olfactory marketing goes a step further. Imagine that you have two identical products; olfactory marketing uses scent to add an extra dimension on a subliminal level to one of them in order to drive your purchase. AbdesSalaam gave us an example of a study where a company secretly sprayed scent on items at one check-out counter, but not on the exact same items at an adjoining one. I can’t recall all the details, but the bottom line was that more people gravitated towards and purchased the scented products. While olfactory language and marketing help to shape sales by influencing potential customers, bespoke perfumery involves a completely different set of considerations. There, you already have your customer, and you need to achieve their vision as laid out in their brief. It’s usually a very short synopsis — sometimes two or three sentences — outlining their ideal scent and listing the main notes that they absolutely want, along with several secondary ones. On a projector, AbdesSalaam showed us an email folder filled with different client briefs, most giving the very shortest elaboration of the perfume that they had in mind. He selected two different briefs, kindly eschewing any that had lavender for my sake, and gave each team the choice of which brief to carry out. The first one was for a scent that the client, Ivana, envisioned as a sort of “flannel,” with a main accord of violet leaves, sandalwood, and oakmoss, followed by mandarin and lemon. The second brief had a main trio of rose, chamomile, and vetiver, accompanied by rosemary, oakmoss, cardamom, frankincense, and rosewood. Manuel and I chose to do the Flannel, or “Ivana.” In hindsight, looking back on that choice, I think the list of notes pretty much guaranteed that I’d hate anything I made. The biggest culprit was the “Violet Leaf.” The bottle had caught my eye on the first day and, taking a sniff from the top, I blinked with confusion at the aroma. Put aside any thoughts you may have of Guerlain‘s violet fragrances, the scent in YSL‘s Paris, lipstick violet aromas from orris, or even the violet leaf in things like Mona di Orio‘s Violette Fumée. This was something completely different, with zero floralcy but plenty of sharp, thin, inordinately woody and green aromas, as well as a little bitterness. 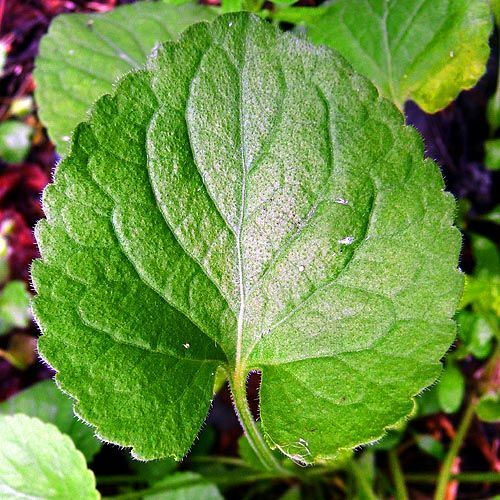 When I took the bottle round to my classmates and had them smell it blindly, not a single one guessed violets or violet leaf. Instead, one of them, Jackie, described the aroma as “curiously nasty,” and it was. When combined with the two sorts of citruses (which I’m not crazy about to begin with) and AbdesSalaam’s funky oakmoss, the resulting blend was far outside my personal taste preferences. It wasn’t just me, either. Jackie had opted for the same Ivana brief because she likes green, fresh, and aromatic scents. She also has a background in perfume blending, and has made natural fragrances for a number of years. However, something about Ivana was as difficult for her as it was for me and, after a few hours, she washed her hands of it, saying her blend was beyond hope or salvation. The one good thing about making “Ivana” was getting to know Rosewood. When I’d gone to AbdesSalaam in frustration, yielding my vial of unfortunately endless greenness for a sniff, he suggested adding Rosewood. It was going outside the client’s list, but a few drops would not be noticeable and would serve to bring things together. He said that Rosewood was often a useful bridge note that harmonized other elements discreetly. He was right. Rosewood was a beautiful discovery and surprise with its vibrantly glowing, bold, fruity-citrus top notes over a heart of wood that felt warm and smooth. Two small drops made a big difference to my blend: it rounded out the violet leaf’s sharp edges; added badly needed counter-balancing body and warmth; amplified the sweeter aspects of the mandarin; and gave a boost to the previously silent, shy sandalwood. Two drops wasn’t enough, though, so I added a third one and should probably have chucked in even more after that to fix Ivana properly, but it felt like cheating given the client’s brief. Once you start blending perfumes, the urge to try your hand at other compositions grows and grows. At least, it did for me. (AbdesSalaam called me “a compulsive perfumer,” which is probably no surprise given my obsessive-compulsive personality in general.) Since I had time after Ivana, I asked AbdesSalaam if I could make the second client brief, and he agreed. In fact, he consistently allowed me and anyone else who expressed an interest to make as many perfumes as we wanted. I thought it was the height of generosity, particularly given the cost of the materials at hand, but he would simply smile and say, “You can learn how to love only by loving.” It was a favourite expression of his, and a metaphor for perfumery that he used often in his classes. Towards the end of the course, we did a third client brief, one that AbdesSalaam himself had struggled with because the client wanted it centered on seaweed, cocoa, and hay, then followed by secondary notes of coffee, lavender, chamomile, and mimosa. A single drop of seaweed smelt grossly rank and intense, so you can imagine what a perfume would smell like if the seaweed were amplified further through the sort of formula we had used up to now, with 44-drops for the main trio. 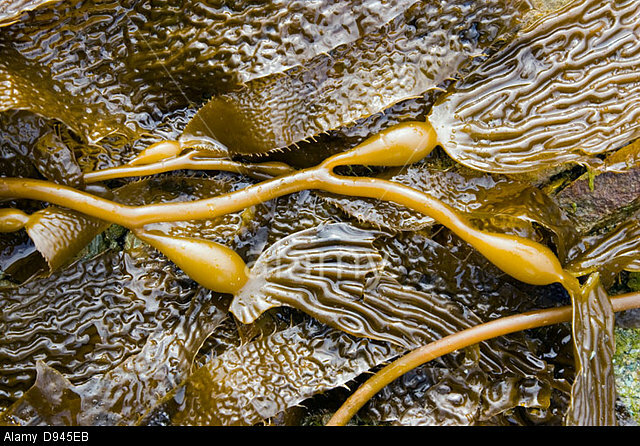 AbdesSalaam had finally concluded that “Cocoa, Hay, and Seaweed” should merely form one accord — “Sea-Hay,” he joked — consisting of only a tiny drop of seaweed and supplemented by two other notes to form the main trio. Even then, this was one difficult perfume to make! I tried to turn it into something essentially smelling like a Mocha Expresso, thinking the salty seaweed would bring out some of the coffee and chocolate’s inherently dark, roasted facets. Unfortunately, that wasn’t the client’s wishes, so I had to start over, emphasizing the mimosa and other elements instead. Whatever I did, the result was a nasty, muddy mess — literally, as well as figuratively. AbdesSalaam had said he would send all 7 of our compositions to the client, and see which one she preferred. I knew it would never be mine, because what person in their right mind would wear it?! In the end, some weeks later, we learnt that the client had chosen Matthew’s scent, which got a huge round of applause from us given the difficulties involved. The experience with all three client briefs taught me that it takes a certain personality to be a good custom perfumer or to work under someone else’s direction. One has to have the ability to set aside one’s ego and individual tastes, to put oneself in another’s shoes, and to glean what is really in their head from a few short sentences. While you can send them several different blends to see which one best fits the bouquet they had in mind, you need the ability to go beyond yourself to create what they like in the first place, regardless of your own feelings about the combinations. For that, you need an open mind, flexibility, skill, and imagination. I couldn’t do it, I can tell you that. Not after that seaweed perfume! During the class, I kept thinking of a perfumer — Liz Moores of Papillon — who stated either in an interview with me or elsewhere something to the effect of: “I make what I like and would wear. If I didn’t like my perfumes and wouldn’t wear them myself, how could I expect anyone else to?” I feel the same way, and think that principle is an important one for a perfumer who has their own line, but a bespoke perfumer has to have a completely different mindset. It’s not about “I,” but about “You.” Only “You.” And that’s hard. In contrast, “I” is the sole focus of a “Signature Scent.” AbdesSalaam spoke with each of us about creating a fragrance that would achieve some individually tailored goal or interest. For Manuel, it was a scent that would be the signature for his future perfume line, reflecting in its notes his entire aesthetic and serving as a calling-card statement of sorts. In contrast, for “M” and Salman, it would be a fragrance that would send whatever subliminal or psychological message they wanted for business purposes, perhaps by encapsulating the image that they wanted to project. It was nice, so we added alcohol and bottled it, though AbdesSalaam would have preferred to filter the fragrance first since the ylang-ylang left a small cloud of molecules. I actually didn’t mind that at all, because it reminded me of a snow globe and I thought it was rather pretty. What I was happiest about, however, was having a blending approach that suited my personality and style, even though the actual perfume still wasn’t really me. It didn’t sing to me, probably because the quantity of each additional element was so miniscule. The result was nice as a layering blend to go atop darker, spicier, richer, and more ambered fragrances, but it still lacked a spark or head-turning oomph in my eyes. Some of it is what I told you in Part IV, I’m hyper-critical of my own work, but the other issue is that I think the fragrance desperately needed some sort of edge. We hadn’t gotten to the animalics at this point in the course, so I think that would have made a big difference in adding a spark. What was funny about all of our “Signature Scents” is that, in my opinion, they didn’t embody who we were as compared to what we later created in the last days of the course as our “Fantasy Scent.” Perhaps we had more experience by then, or perhaps it was the fact that we were given carte blanche to do whatever we liked, using whatever we wanted in any quantity, and with no rules of all. Almost all of us made a scent that not only made us ecstatically happy but, more importantly, seemed like the truest, best encapsulation of our inner selves. As I went round the room and smelt my classmates’ creations, I kept saying, “That is so you!” And they were. Mine was an amber oriental with spices and resins that was inspired in large part by the base of vintage Opium. I could wear it by itself as an amber soliflore, or later use it as a base accord to which I could add floral notes. Ambergris lay at its heart, but I ignored the previous “one drop” rule for the additional elements and added as much as I wanted or thought was appropriate for the blend as a whole. 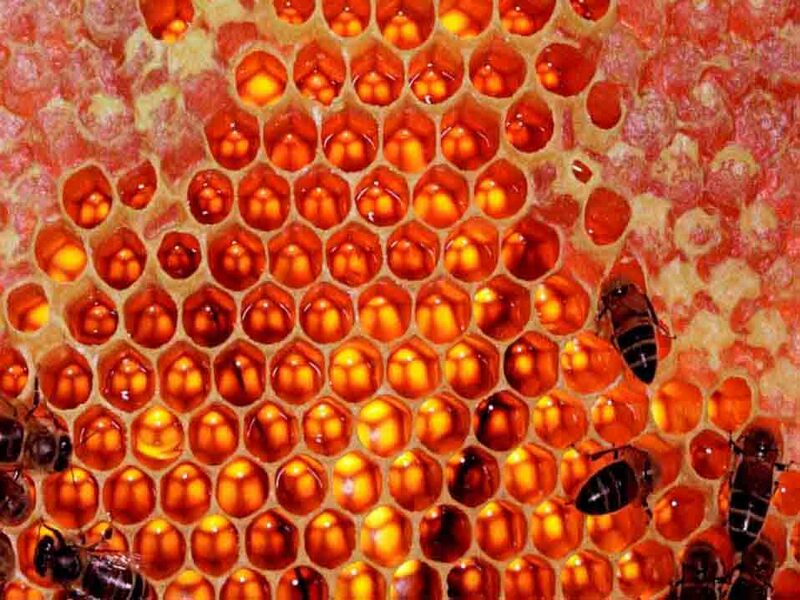 So, to the core of 20 drops of ambergris, I added 10 of honey bee propolis, the essence and scent of bees accumulated from layers of beeswax in a hive. After that, there was a good dose of labdanum absolute, Peru balsam, and a bit of patchouli, followed by lesser amounts of clove, cinnamon, and tonka. It was glorious. I almost danced around the room, so happy to have a scent that was finally, really, me. Several of my classmates blinked at the torrent of heavy amber, spice, and darkness that poured out of the vial, but they found it suited me perfectly. And the scent only got better the next day, after it had settled for a while, though I did add some additional drops of labdanum and tonka to compensate for the overnight changes. I named the blend “Feu d’Enfer,” and we bottled it. I couldn’t stop sniffing myself! AbdesSalaam said that the notes made it a very expensive composition, but he would be happy to make more for me whenever I wanted. Unfortunately, upon my return some 2 weeks later, I was crushed to find that the notes had re-composed themselves into quite a different shape. Gone was the central focus on amber subtly amplified by dark, chewy labdanum. Now, in its place, is cinnamon which bursts forth from the very first whiff and stays there for quite a while. The amber and resins remain, but as mere background notes or as an overall framework. I couldn’t believe it. There were merely 2 drops of cinnamon and 2 drops of clove out of a total quantity of 86 and, yet, somehow, they had taken over. The lessons were clear: 1) be very careful with cinnamon; and 2) leave your blends for as long as you can before you finalize them, because time changes things, sometimes quite drastically. On the plus side, though, my “Feu d’Enfer” is now a perfect layering base that works well with my ylang “Signature,” and even better with my early, overly simplistic rose-jasmine-cinnamon trio, not to mention several commercial fragrances that I own. That’s it for today. In Part VI, I’ll talk about animalics, their aroma, and the rare materials that AbdesSalaam showed us, like deer musk, in addition to the process of tincturing ambergris. However, first, I’ll take a brief break from the series to review the newest Papillon fragrance, Salome, a chypre with civet, hyraceum, and castoreum that will be released in the U.S. shortly. I received an advance bottle and I know it’s a scent that a lot of you are interested in, so I’ll cover it before returning to my posts on the perfume course. Plus, its animalic notes make it a logical companion to Part VI which will address what those exact materials smell like in their natural state. This entry was posted in AbdesSalaam Attar La Via del Profumo, All-Natural Fragrances, Perfume Profiles or Interviews and tagged AbdesSalaam Attar, AbdesSalaam Attar Perfume Course, bespoke perfumery, Fantasy scents, How to blend perfumes, Italian perfume course, Making Signature Scents, olfactory archetypes, olfactory marketing, perfume formulas, perfume symbols, subliminal perfume messages, The language of perfume by Kafkaesque. Bookmark the permalink. Great post, and anxious for the following 2!!! I’ve thoroughly enjoyed every installment in your series, Kafka, and “Feu d’Enfer” does sound like it expresses your perfume tastes to a T (or at least it did until the cinnamon took over). It sounds positively intense(!!) – and that’s how I think of you, with great admiration. Now that I know more about how a perfumer like Salaam goes about his work, I know I’d never make a great perfumer either (like you, I’d be forever editing and never satisfied), but it’s been so much fun to consider the prospect – and the process – thanks to your ingenious way of taking us along with you on this trip. Grazie mille! I mourn the loss of my original, pre-cinnamon-blast Feu d’Enfer, but somehow that cinnamon focus seems to go really well in creating spicy florientals. But I want my amber back, too! Grrrr. Nice article, i really enjoyed it, thanks! I laughed so much at that, I actually choked a little on my coffee. Thank you, Lajka, I needed that this morning! 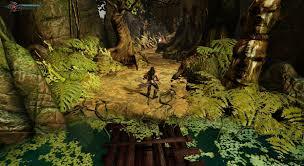 Along with incense, I do love amber and spices, and I’m beginning to take notice of woods as I never have done before. I wonder why it is that to me the perfect fragrance is vintage Opium. “Feu D’Enfer” sounds amazing. Is there a way of recreating the beginning and being able to hold on to that? I cannot believe you are drawing to an end of this series. So much fun, I feel as though I were there. Do you think you’ll continue to blend at home? I have definitely thought a lot about buying stuff to continuing blending at home, but I really don’t think I would have the time. The hours I spend on perfume testing, research for reviews, finding photos, writing, etc., wouldn’t give me a lot of free time. Plus, I couldn’t blend and test regular perfumes, because I think blending would kind of interfere with my nose and what’s on my skin. Still, I keep thinking about it. If it weren’t so expensive to buy enough material/essences to have an adequate, bare-bones, ultra-mini organ, I think I would do it nonetheless but between the time and money issues, I don’t think it will happen right now. As for recreating my original Feu d’Enfer the way it smelt in class, I think the trick would be to have only ONE drop of cinnamon and to increase the amber and Peru Balsam substantially. How I wish I could try it here, at home! This is so exciting to hear about. Your Feu d’Enfer sounds divine, like amped up Alahine! That’s wild that the cinnamon took over and you only put in a tiny bit. No wonder making perfume takes so much time. This also explains why some fragrances with clove smell like a “clove bomb” on me. I guess those perfumers didn’t let theirs settle long enough unless maybe they wanted a clove bomb. I like my cloves in pumpkin pie-yum!! The course sounds so wonderful but I know I would have been stressed out, too, afraid I wouldn’t be able to make anything decent. Love the pictures. LOL at the cloves only in pumpkin pie! 😀 Are you one of those who revels in Starbucks Pumpkin Spiced Lattes? They’re starting up soon, I hear! Ive been enjoying the posts about the class, and I am curious about the blending process. Do you think the way you went about it actually affects the outcome? Meaning, if you tried to re-produce the same results by starting with 16 drops Rose, and 17 drops vetiver, you would get a different result than you would if you did it in the order you did the first time? Kind of like creole or Cajun cooking, “you always start with a Roux”. On a side note. Your description of the class takes be back to the chemistry set I had as a kid, and my grandfather’s florist business. I may be interested in the class, as I am on somewhat of a journey of discovery. It would be great if you could share with us how many people in the class were there because they want to make perfumes, how many were there because they want to understand more about what they’re wearing, or other motivations. In terms of the journey/destination question, I assume you mean about the course as a whole? In which case, I think both are important, though it probably depends on what your ultimate goal is. With regard to people’s motivations in taking the class, there were 6 not including me. Three of them already had quite a lot of experience with naturals and blending them. They had come to learn from the master on how to advance their knowledge and skills. Two of those people definitely want to create all-natural perfume lines in the future. The third may as well. Two others had come primarily for philosophical and spiritual reasons more than anything else. They wanted to learn more about themselves through his perspectives and philosophy. One of them had almost no background in perfumery, and I’m not even sure he wears fragrances in any real way. The other one definitely doesn’t as she’s typically allergic to almost all commercial scents, and sticks to natural products in every aspect of her life. She signed up for the course only after reading a profile on AbdesSalaam, thought he would teach her about this new world in a more metaphysical and philosophical way, and would thereby enable her to learn more about herself. My fifth classmate had come to learn about perfumes, naturals, and blending for a future perfume line that would go with the rest of his business, but also for philosophical and spiritual reasons in small part. He has been a big client of AbdesSalaam in the past, including bespoke perfumes. Ultimately, I think almost everyone really came for AbdesSalaam himself, above all else. *HE* is what really drew people deep down. There are other perfume courses around the world, including from natural perfumers, but AbdesSalaam, his beliefs, his broader or more spiritual approach to the role of scent in one’s life, his gentle personality, and/or his mastery of natural perfumery were the real key, imo. Thanks for your explanation about the formulation process. Now I’m really back in my childhood with my chemistry set. I was referring to the blending process when I was asking about the Journey vs the Destination, but your answer was better than my question. Helps a lot. Also thanks for the profiles/motivations of your classmates. I’m sure you’ve made lifelong connections. I might have to connect with Jock about Whiskey too! This is great. The language of how we judge smells by our own culture really inspires me. Not only in perfume, (which I love) but also for my masterclasses in Whisky,Rum and Wine. Now I MUST think about aroma archetypes in Whisky! 😀 I’m serious, Jock. I’m sure fine spirits/alcohol have their own set of secret codes, messages, and taste archetypes — beyond the obvious woody, peaty, and sweet ones. How cool is that?! Hmm, champagne, red wine, port… what a fascinating new context in which to think about symbolic notes! Both versions (versions?) of Feu d’ Enfer sound amazing and the name is perfect as well. Not only was I curious about whether you would make something big and Oriental like vintage Opium, but Alahine also flashed through my mind as well. Alahine is on my full bottle list. I’m loving so many perfumes that my little list is quite long now. I have always loved Rosewood, look for it whenever I read a notes list. I used to buy Rosewood soap but I don’t see it anymore. a bespoke rose fragrance, which probably is my best route to go. I now know that AbdesSalaam wouldn’t mind an email. I think Rosewood has become pretty endangered these days due to its popularity for furniture and, if I recall some newspaper articles correctly, the high demand for it in Asian markets. If I remember properly, there isn’t enough left and they’re trying to protect the forests. I also heard that the alleged reason why Tom Ford supposedly discontinued one of his Private Blend fragrances was because of the difficulty in getting sufficient amounts of rosewood. In short, I’m not surprised you can’t find soaps or other things with it easily these days. p.s. 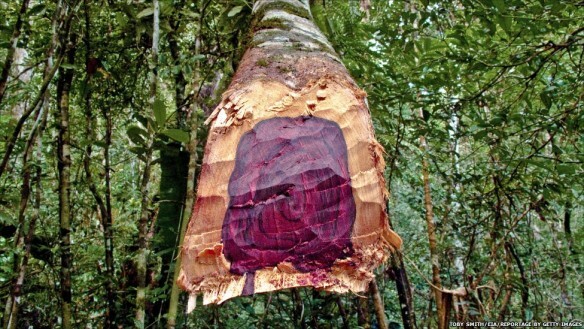 I checked on rosewood and found the rosewood oil used in perfumes is from the wood of ‘Aniba rosaeodora’, which is not related to the rosewood used for lumber. I bow to you, dear Kafka, for this fabulous series. I know you have a few more segments but I don’t want it to end. You have built so much excitement and this one in particular kept me on the edge of my seat – what will she make for herself? I was not surprised by your choice and feel bummed that the cinnamon took over! Perhaps AbdesSalaam can make you another one minus the cinnamon? I dread reading your animalics post knowing how I am with animalic notes! Haha, Luxembourg definitely seems like a nice place to visit before the class! 😉 😀 Gosh, that trip was exhausting, but part of it was due to my need to go back to Rome for the final leg of my holiday. Others flew from Heathrow or Frankfurt to more central or convenient locations, and that would have been better. AbdesSalaam himself suggested going through Frankfurt and avoiding Rome but, again, I wanted to spend some time in that city. In your case, if you went, given where you are located, you wouldn’t have so many legs and could take a direct flight to Italy, though perhaps not to Florence. If you could, Florence to Rimini is quite simple, even though one does have to change at Bologna (eye roll) which I think is a hassle. In any event, I think you’d enjoy the course, animalics aside. I would absolutely LOVE to see your expression at smelling aged and fresh civet paste. And if you were asked to taste some on your tongue…. ROFL. How I would love to see that! I do imagine you are fiery, powerful, and complex yet the word enfer would have never occurred to me in combination with your name 😉 You are a force! I like how you felt you could be honest and say: this approach doesn’t work for me or it cannot capture me in my totality; it also speaks of Abdessalaam’s humbleness and respect for other visions and needs, for those who are learning from him..
I’m curious to read and learn about animalics! Thanks for these posts K!